There is a lot of misunderstanding about Epilepsy. To help us better understand this health issue, we chatted with spokespeople for a brand-new epilepsy awareness initiative called Medikidz Explain Epilepsy. As a first-of-its-kind comic book in the U.S., Medikidz was created to educate children living with epilepsy about the disease and how to talk about it with their peers. 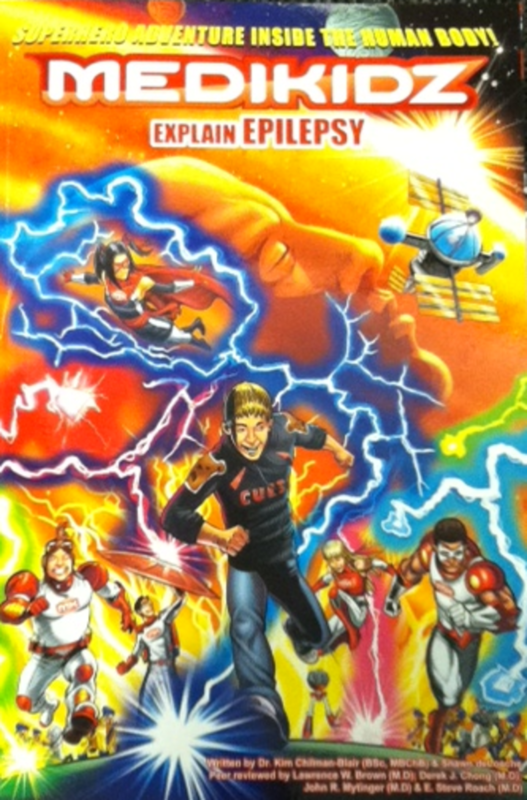 To better understand epilepsy and this comic, I chatted with spokespeople from Medikidz, including Jack, a 14-year-old who is the inspiration for the comic book.  Laurie Ostroff-Landau, Director, Public Relations, Eisai Inc.
Momtrends: How does a person develop Epilepsy? Dr. Mytinger:Epilepsy is traditionally diagnosed when a person experiences more than one unprovoked seizure. Essentially, a seizure occurs when the normal electrical activity becomes uncontrolled I like to call this an electrical storm in the brain. Epilepsy has many potential causes. Some examples include abnormal brain development, brain injury, metabolic problems and genetic causes  all can potentially disturb the brain&apos;s ability to handle electricity. The cause of epilepsy for many people cannot be determined. Epilepsy is a very complex neurological condition that manifests itself in numerous ways, and each case can be quite different. For example, not everyone who has epilepsy has the type of full-body convulsions that most people think of when they hear the word epilepsy. Some seizures are difficult to detect and may include a brief stare or a subtle change in behavior. Momtrends: Can Epilepsy be cured? Dr. Mytinger: Approximately two-thirds of people with epilepsy become seizure-free using medications. Seizure freedom can also be achieved with epilepsy surgery when the area of the brain that is causing the seizures is surgically removed. Many of the patients who are seizure-free after epilepsy surgery still need their medications to prevent a relapse. Not all patients are candidates for epilepsy surgery. Other patients may improve with treatments such as neurostimulation or a therapeutic diet such as the ketogenic diet. In addition, many children can outgrow their epilepsy. Unfortunately, some patients have persistent seizures despite excellent care. Momtrends: How can it affect teens? Dr. Mytinger: In addition to seizures, patients with epilepsy often have difficulty with attention, mood and medication side effects. Young epilepsy patients may also encounter social problems or even bullying.These latter problems are particularly impacted by the misconceptions surrounding epilepsy. Historically, people have been reluctant to talk about their epilepsy for fear of being stigmatized. While there is growing openness about epilepsy, some families still choose to keep the diagnosis of epilepsy a secret. In fact, a recent survey showed that more than one in three children with epilepsy keep their condition a secret because they don&apos;t want to be treated differently, and nearly one in four parents also choose not to disclose the diagnosis in an effort to protect their child from stigma. Jack: Not everyone really understands what epilepsy is and how it affects my life. Sometimes I have to explain a few times about my condition. I think its really important to educate other people, both kids and grownups, about epilepsy so that theyre not afraid of it. 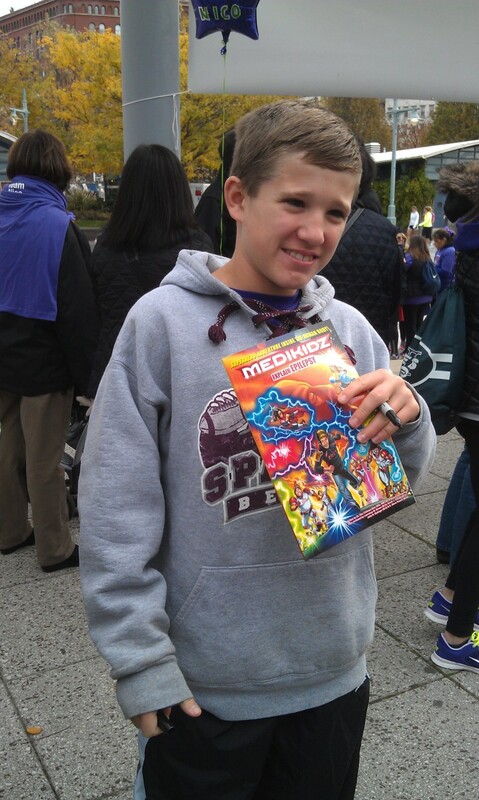 Momtrends: What is Medikidz Explain Epilepsy/How was Medikidz Explain Epilepsy Started? Laurie Landau:Communicating to children about any medical condition is a challenge, and Eisai Inc., a pharmaceutical company and leader in the epilepsy community, recognized a gap in existing resources for explaining epilepsy to children. To address that gap, we chose to support Medikidz, makers of comic books designed to help young people understand illness and medical concepts, in the development of Medikidz Explain Epilepsy, a first-of-its-kind comic book in the U.S. to explain epilepsy to children affected by the disease and help increase awareness of the condition in an effort to eliminate the stigma often associated with it. Dr. Mytinger: A very important part of my job is to educate patients and families about epilepsy, especially at the time of diagnosis. We need age-appropriate materials to teach children about epilepsy. As a reviewer of the book, I was able to help ensure that all of the information included in it is scientifically accurate. Im proud to be involved in the development of this resource and am already using it in my practice to help educate children and their families about epilepsy. Jack: It was really cool getting to be in a comic book. I like that I can show it to my friends and it can help them understand whats going on when I have a seizure. Its also good because they can learn how to help me if Im having a seizure when Im with them. Momtrends: What types of treatments can help with Epilepsy? Dr. Mytinger: Many people are able to control their seizures with medication alone, and other therapeutic approaches are available as well, including epilepsy surgery, implantable devices, and therapeutic diets.